English - De website van allamericanweekend! 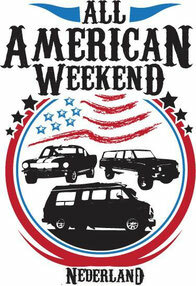 ALL AMERICAN WEEKEND NEDERLAND is for anyone who owns an American car. This is the largest, final meeting of the season, which is annually the first weekend of October. This year our meeting will be held on 4, 5, 6, & 7 of October 2019. All we want is to have a fun and friendly gathering that is located centrally within the Netherlands. Please note that dogs on a leash are allowed. The All American Weekend is recognized by the tax authorities as an event, so suspended autos older than 15 years are welcome as well. For further information, please check the Netherlands tax agency’s website. If you have any questions please look at our contact information (this also applies to exhibitors and sponsors).